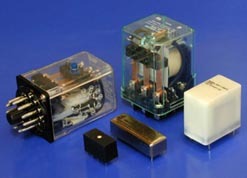 midtex relays have a longstanding tradition as quality general purpose relays, competitively priced, for the industrial and commercial marketplace. the midtex relay brand is in the process of being merged with our p&b relay brand - another quality-focused relay brand of tyco electronics. some midtex relays are still available in the marketplace, but they will be branded as p&b in the future.